Founded in 2010, Andesign, Inc. is an award-winning international boutique interior design firm with offices in La Jolla, California and Shanghai, China. With over thirty experienced designers on two continents, Andesign specializes in residential and commercial interior design, luxury staging, and model homes. Dana has over 20 years of professional experience within the interior design and architecture industry in Hong Kong and China. As a designer and project manger, Dana has worked on a broad range of large-scale projects in corporate interiors, hospitality, and high-end residential making her versatile knowledge indispensable. She was honored as one of the 2012-2013 Designers of the Year and selected for the cover of Interior Design Magazine (China Edition). In 2014, Dana decided to expand Andesign, Inc. internationally by branching out to La Jolla, California. With this new venture, she is not only designing high-end residences, but also channeling her passion of design through staging sophisticated spaces. Jessica holds a Masters in Interior Design from Arizona State University, and a Bachelor of Arts in Interior Design from Nanjing University of The Arts in China. Although at the beginning of her career, Jessica has gained experience through multiple design internships abroad and proven herself to be an integral asset to the Andesign team. She is bilingual in Mandarin and English, and brings a strong technical skills package. ​Jessica spent one year at Andesign's La Jolla office as a Design Assistant and has since relocated to the Shanghai office. 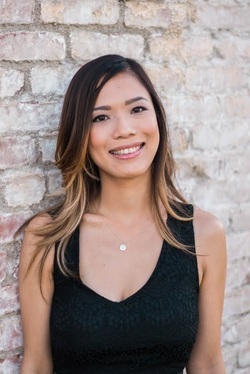 She provides design assistance for both Shanghai and La Jolla locations as a Project Designer. A graduate of the University of California, San Diego, Claire manages day-to-day operations at Andesign. Originally from Hong Kong, she is fluently trilingual in Cantonese, Mandarin and English. Claire brings experience in office management and database administration. Her knowledge of human resources, finance management, property management and procurement make her an essential team member at Andesign and liaison for the Shanghai headquarters. Oscar Chu holds a Bachelor of Arts in Interior Design from Savannah College of Art and Design in Savannah, Georgia. Originally from Hong Kong, Oscar is fluent in Cantonese, Mandarin and English. His multicultural experience, in addition to his studies and interior design internships in Hong Kong, Australia, and the United States, strengthens his knowledge in this field. With his high passion for interior design and life-long desire of one day managing his own design firm, he starts his career in the Andesign Inc La Jolla office as a Design Assistant under the leadership of the Chief Designer Dana Wang, where he hopes to learn the intricacies of the profession. AAlways seeking a rock star interns! Are you a self-starter, killer at CAD, and slay Photoshop? Do you work well independently with little direction, but can also be a team player? Savvy social media and blogging skills? If you answered 'yes' to all of the above then please send your cover letter, resume, and portfolio samples to admin@andesigninc.com with 'Intern' in the subject line.